That's a great video, Tim ! That was a good video. Nice work Tim! Tell me: Where has your "Life without Benedetta" video gone? (Can't seem to find it on your YT channel). I had to create another channel for it cos Andy Lee / Raj Babbra was harassing me and got my original versions taken down. Nice work! Brilliant deconstruction, timothymurphy! anything i do that's good, i owe to reality shack - otherwise i wouldn't have a clue. You don't have to be so humble; you bring some unique thoughts to the discussion. I appreciate your perspective, even if I don't want to believe you're right sometimes ... :( It's too spooky. hoi.polloi @ Mar 13 2010, 12:03 PM wrote: :( It's too spooky. ok - just for fun. It could be some kind of inside media joke, though. 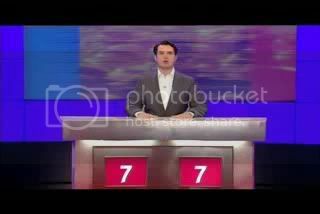 In March 2006, Sally Phillips (suspected 7/7 actor) is a guest on CHannel 4 comedy quizz "8/10 cats". I am far from sure about this and am happy to drop it if someone with skills tells me it's not her. Their voices are really similar. 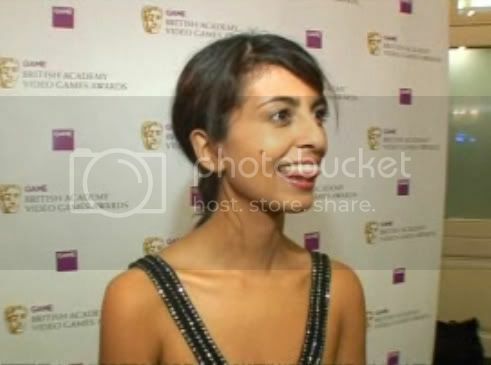 Konnie Huq has a very Semitic-shaped face which is normally disguised by her hair and make-up. In the CNN clip there is no attempt to soften the semitic-looking lines of her face. I don't know if I have skills, but I don't see it, unless there is some augmented reality in one or the other group of sources. hoi.polloi @ Mar 15 2010, 03:44 PM wrote: I don't know if I have skills, but I don't see it, unless there is some augmented reality in one or the other group of sources. I'll put that one on the back burner till more pictures of the CNN girl turn up. I thought the same thing but can now see that it's weird. So, it could just be computer-game-types messing around. She presented Blue Peter when I was younger. - A very wholesome girl. However, her presentation in the media is not wholesome. She is portrayed as seductive and deadly. "If I had HIV, what would it take for you to kiss me?" There seems to be a general terrorism-flavoured theme surrounding her work. eg. This spot for SKY TV where the opening graphic have twin towers with a paper airplane flying into them. e.g. Twin Towers of Tower Bridge, the TV "message in a bottle" suggests the videos left by suicide bombers etc. 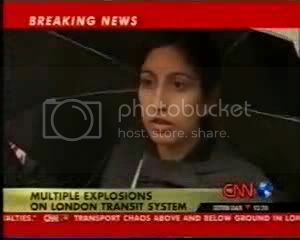 Anyway, it was principally Huq's voice that made me ask the question about whether she acted on 7/7.